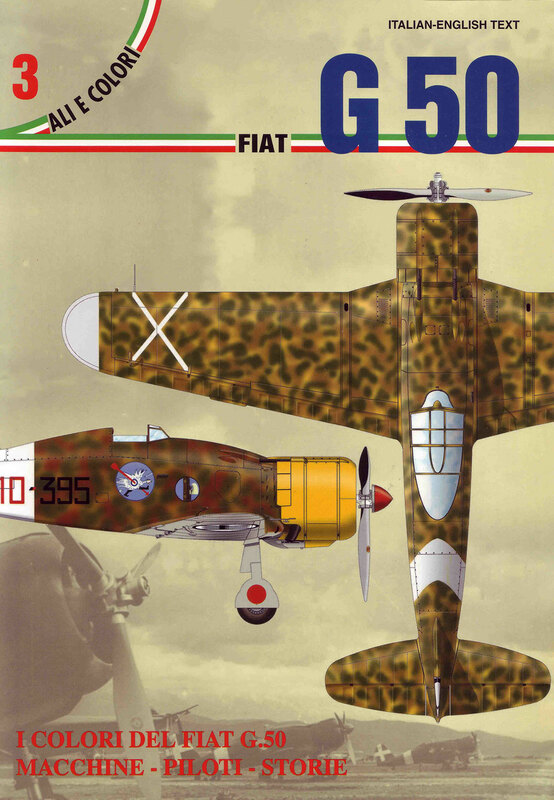 Fiat G.50 flown by Capitano Furio Niclot Doglio of 355a Squadriglia (21° Gruppo, 51° Stormo C.T. ), Ciampino-South, August 1940. Three-tone scheme of Green and Brown blotches on Sand background with Light Grey lower surfaces. Captain Niclot was an outstanding test and aerobatic pilot. He volunteered into active service as soon as Italy entered the war, being posted to 51° Stormo, then considered an elite unit due to its brand new monoplane fighters. The aircraft is wearing on its tail the new Stormo badge designed by Tenente Vincenzo Sant’Andrea, with a cat catching three green mice. It was inspired by a real fact occurred on the previous spring when, during an exercise, the new G.50s achieved intercepting for the first time some S.79 fast bombers, having a reputation for being unbeatable and displaying the famous Green Mice insignia of 12° Stormo. However, the Air Staff authorised the new badge ordering the mice had to be grey, in order to avoid offending 12° Stormo pilots’ feelings.